An effective way to create great passwords with a built-in failsafe, detailed step-by-step. Recently, I devised (at least independently) a method for password creation that is safe (effective), has steps to easily add extra layers of protection, and is usable by basically anyone, forgetful or not. Complicated passwords are difficult to remember, so if you do create one, you create one… and use it for everything. Not good; if it’s compromised, you can lose everything. 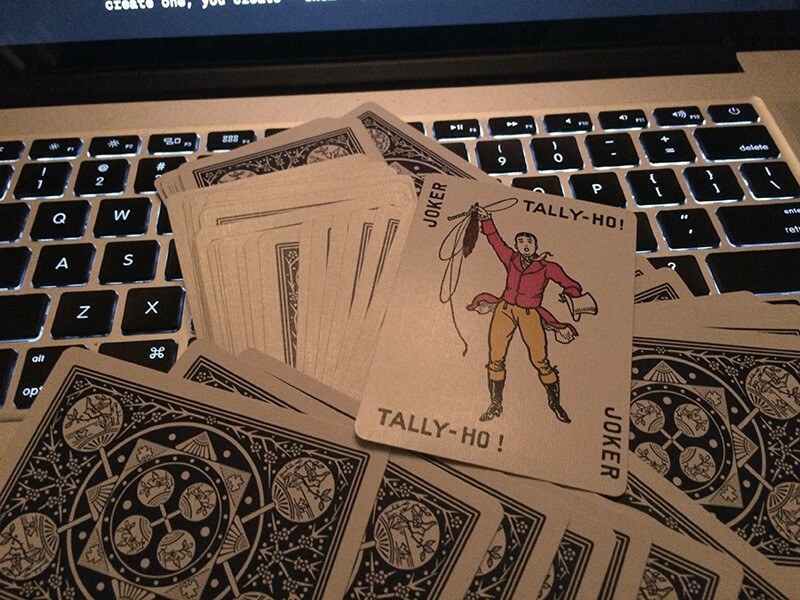 Here’s a simple, robust solution: a pack of playing cards. 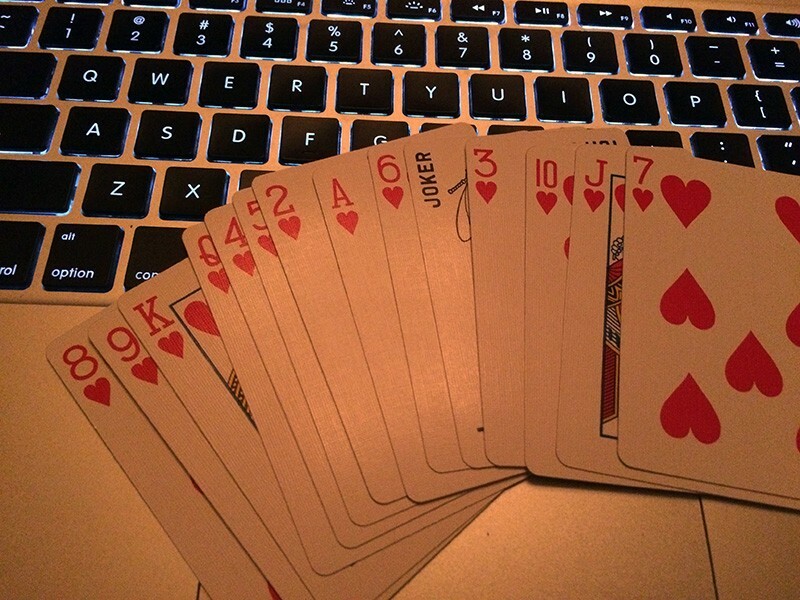 Your standard 52 card deck will give you four random passwords, at least 13 characters in length. Here’s how to set it up, and why I think it’s effective. At the end, I’ll list out methods to make passwords that are even harder to crack, and ways to make easier-to-remember passwords for sites and services where you need to frequently input them manually. This random order is one of “13!” (13x12x11x10…). 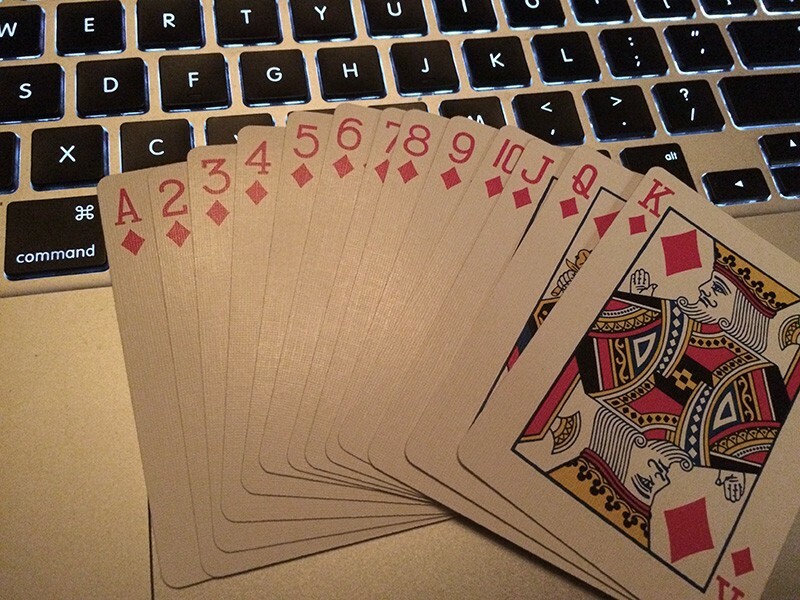 Thirteen factorial alone gives you 6,227,020,800 possible configurations, but there’s actually many more password possibilities per suit because you’ve assigned one (or more) of the letters on the face cards (or the Ace) to be lowercase, and the Ace and Ten can be expressed as A, a, or 1, and T, t, or 10. After a thorough mixing, here’s what I got. Assigning the King as lowercase, I get 92k10835A7Q36J. A pretty decent password! Repeat twice more and you have four very good (practically) unpredictable passwords. Storage and retrieval is simple. Your computer (or phone) likely stores a lot of these passwords for you, so you won’t have to recall and type them out often. If you ever need to manually type them again, just go back to the pack; spread out the cards and like magic, there are your secure passwords! But that could easily be 9dKt835a7Q46j or ndK1083fA7q46J with an intuitive substitutions of “d” for 2 (deuce), “n” for Nine and “f” for Five. If these changes aren’t intuitive to you, you can use a Sharpie to mark the cards you’re altering for your password. You could apply these changes to passwords of just the red-suit variety, or maybe hearts and spades. Additionally, you could replace a number with a non-intuitive (or less intuitive) character or string. The Ten could become “qo” for the two keys underneath the 1 and 0 on the keyboard. 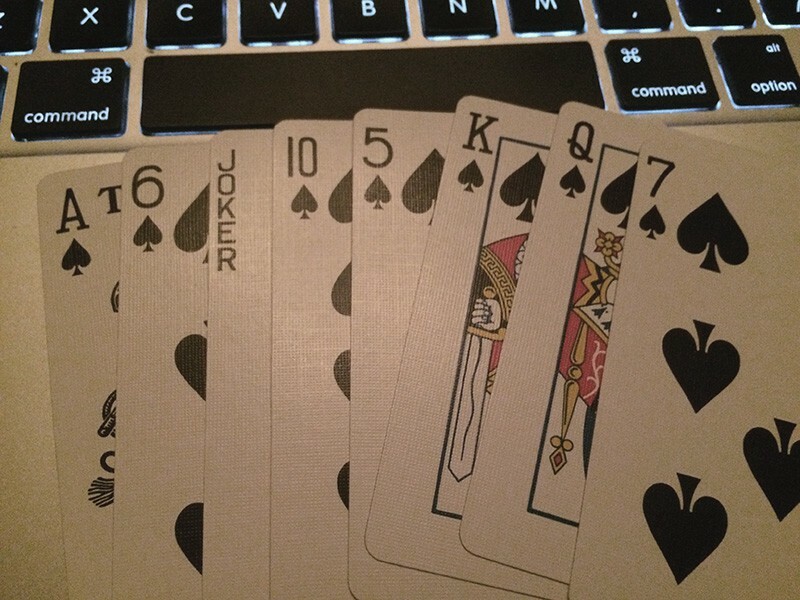 Seven could become “&.” Or, change the Queen to “v.” Create substitutions that you’re likely to remember or mark the cards. In case 13! isn’t strong enough for you, your two Jokers can come into play. Just assign it a value and shuffle it in. 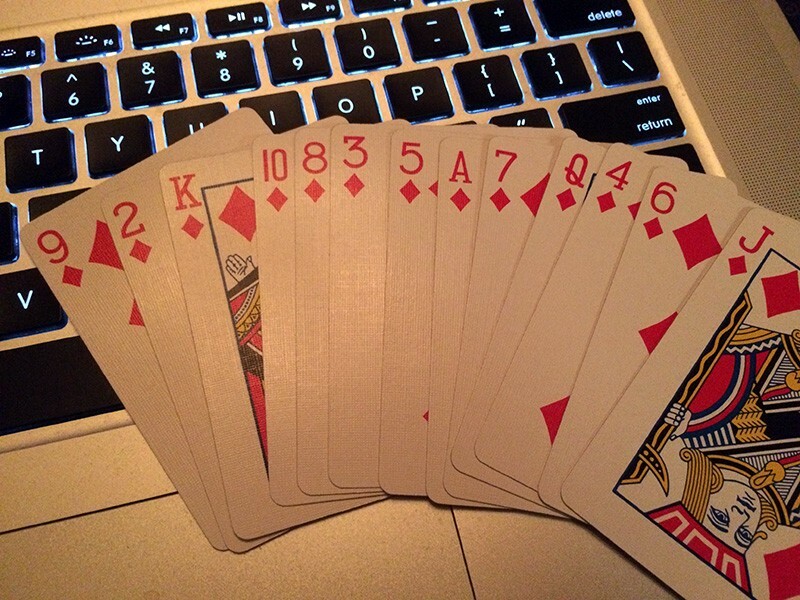 Just adding one card creates a minimum 87,178,291,200 combinations. Want a safe, but simpler password? I’ve got you covered, too. Though not as strong, eight characters is still pretty good. Eight cards gives you just 40,320 possible combinations of cards, but you choose those eight cards (and what they represent), creating many, many more possibilities. I can remember it as the phrase “North America 8 (pause, meaning hyphen) jack-queen twenty-five.” It’s a good password, sufficiently random, and can be remembered more easily. My suggestion is to use complex, unique passwords for your most valuable accounts (banking, email, facebook? — separate passwords) and simpler (but still safe) passwords for things like Netflix and your computer (login). 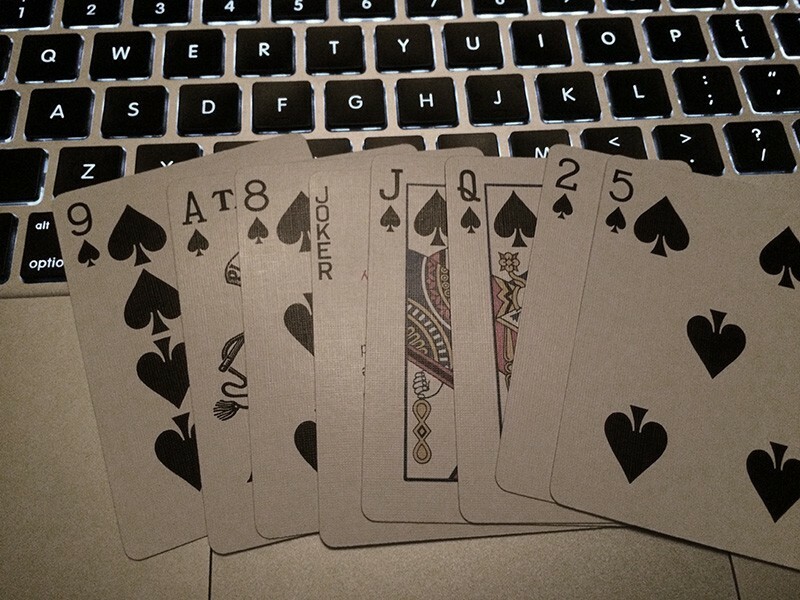 What I’ve presented is really just the beginning of a scalable method for password creation with a built-in failsafe — a pack of cards kept in an actual safe! While no password is perfect and uncrackable, I haven’t come across a better, safer method. Yes, there are simpler methods and safer methods of creating passwords. My goal was to create something that balances ease-of-use with security. “Playing Card Passwords” may seem a bit complicated when compared to just using a unique phrase (such as “YoudaManNowDog25”), but it’s far more secure and easier to retrieve the passwords if you forget them. Coming up with several unique passwords and then remembering them all isn’t easy. Ever try to access an old computer or account and need a password reset, only to find out that the email address you chose to send it to is no longer accessible? Ever forgotten the answer to one of your own security questions? I’ve had both of these problems in the past. Sometimes what we think of as “memorable” doesn’t stay that way. And writing passwords down on paper is essentially the Post-it note problem. Too easy lost or tossed, or disregarded amongst other scraps of paper. You can create your own tweaks to enhance this system, use ten or twelve cards instead of 13, or just use the basic vanilla method. 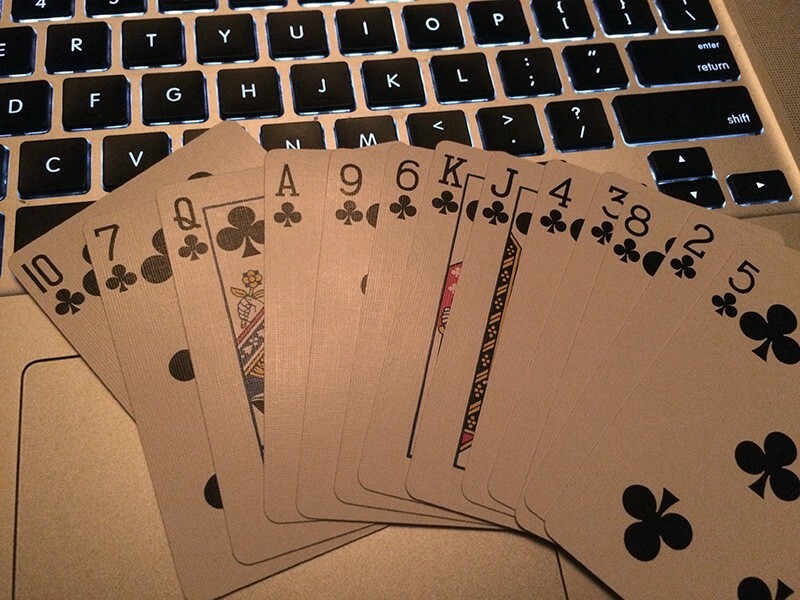 If you need more than four passwords, you can use red and blue decks, or different back designs. If you like this idea, share it with friends and loved ones. Better still, implement this system for your parents who might still be using passwords like “Orwell1984” or “OurDogsNameYearWeGotMarried.” And then send me presents when your inheritance isn’t stolen by a hacker.